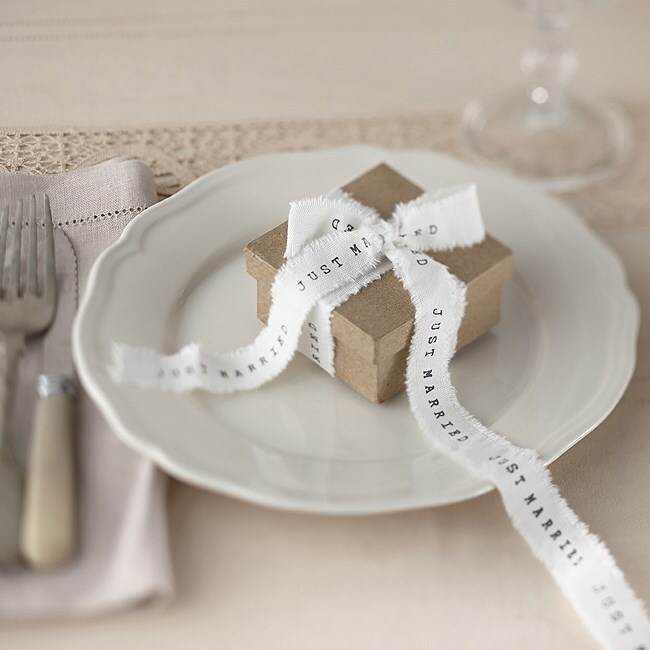 DescriptionThis pretty Bridal White frayed ribbon with the words Just Married printed is ideal for wrapping favours or gifts or tie around your wedding table napkins. Each pack contains 4 Metres and the width of the ribbon is around 2cm. "Mr & Mrs" ribbon is also available. This pretty Bridal White frayed ribbon with the words Just Married printed is ideal for wrapping favours or gifts or tie around your wedding table napkins. Each pack contains 4 Metres and the width of the ribbon is around 2cm. "Mr & Mrs" ribbon is also available.